In Jericho, a hamlet and census-designated place in Nassau County, just like in various places across New York, and the USA, it can be difficult for individuals to understand what their rights are when it comes to issues of child custody, maintenance, visitation, and other crucial situations. Many divorcing couples across New York feel uncertain, and often worried about their legal rights in regards to their children, from the amount of parenting time they should have access to, to what kind of visitation they can offer their partners. With multiple years of experience in litigating and settling disputes regarding family law, divorce, and child custody, Jericho child custody lawyer Mr. Darren M. Shapiro can offer guidance and assistance through intensive legal representation. With almost two decades of experience as a lawyer, and after having his own firm for twelve plus years, Darren Shapiro is a Jericho Child Custody lawyer. Mr. Shapiro understands that although some schedules for custody can be achieved through negotiation in mediation or collaboration, others require aggressive litigation solutions. As a trained collaborative attorney, litigator, and mediator, Mr. Shapiro can explain the methods available to each client, and answer any questions they may have regarding custody arrangements. Jericho is a hamlet in New York, towards the northern shore of Long Island. In the United States census of 2010, according to Wikipedia, the population was approximately 13,567 in Jericho, New York. The people in Jericho face child custody concerns under the laws of New York. In New York, child custody can refer to physical or residential custody, which dictates where a child will reside, or legal custody, which outlines the right to determine issues such as health care, education, upbringing, religion, and other significant decisions. In Jericho, a child custody lawyer such as Mr. Shapiro may encourage parents to engage in collaborative processes or mediation to mutually agree upon child custody arrangements that work for them and their child. Since such agreements must be formally approved and entered by the court, it's crucial to have an attorney or child custody mediator on hand to draft the agreements made to withstand judicial scrutiny. If an issue of parenting time or child custody can't be resolved between parents in a mediation or collaborative effort in Jericho, then child custody lawyers like Mr. Shapiro might need to use litigation, to allow a judge to determine the arrangement that should be set in motion. The New York Court will have jurisdiction for individuals in Jericho if the child in question has lived in a New York State for a period of six months, and custody can be sought for any child up to eighteen years old. One important thing to keep in mind, is that when making custody determinations, the court will decide the matter using the legal standard of "best interests" for the child. This means that the court will make decisions about Jericho child custody matters based on the needs represented for that specific child. As such, the New York court for the child will be able to consider any factor that it deems to be relevant, which might include drug or alcohol use by either parent, any history of domestic violence, the health of the parents, their finances, any forensic evaluations that have been conducted by a mental health professional, and the preference of the child if the child is old enough to make an informed decision. A Jericho custody order attorney or family lawyer like Mr. Darren M. Shapiro will assist clients in Jericho in pursuing their best interests regarding custody and parenting time for the children involved. For instance, this might include a consideration of sole custody. Sole custody refers to a situation in which a child will reside with a parent who also has sole legal custody over that child. However, the other parent involved in the case will usually maintain some visitation rights alongside a parenting schedule. 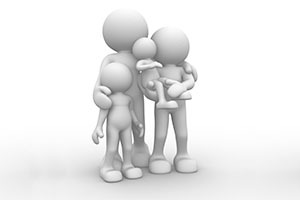 In most circumstances, the parents may share physical custody and share equal time with the child. In joint legal custody, both parents are provided with an equal role in making decisions for the growth and development of their child. Though both parents in Jericho can be awarded equal decision-making opportunities with joint legal custody, this can only be achieved if both parents are capable of co-operation. Since it's crucial for the parents to be able to agree on important decisions, joint legal custody cannot be awarded after most contested hearings. Once a custody order is entered into the court by a Jericho child custody attorney like Mr. Darren Shapiro, it can be modified only if a significant change in circumstances takes place which has an impact on the best interests of the child. The parent that wishes to change the child custody order in this instance will need to establish that a change in circumstances has taken place that dictates a change is within the best interest of the child. What's more, a parent with primary custody will need to obtain some permission from the court in most cases if he or she wishes to move to another location which might impact the visitation abilities of the other parent. Darren M. Shapiro started practicing law in Jericho, Nassau County when he moved his office there around eight years ago, but started practicing law when he was admitted to the bar in January of 1999. That means that he has been dealing with custody and family law cases for a number of years. He now runs his office from the convenient location of Jericho, in Nassau County, New York. The building can be found off exit 40 of the Long Island Expressway, on Jericho Turnpike, or moments away from exit 34 off the Northern State parkway. The office handles Nassau County divorce and family law meetings and conferences from his spacious conference room. Since parenting time and child custody matters should always be regarded with the utmost seriousness, Mr. Darren Shapiro can provide you with advice regarding your legal options. To discuss your unique circumstances, contact us online, or call the office at (516) 333-6555 to arrange your free consultation.